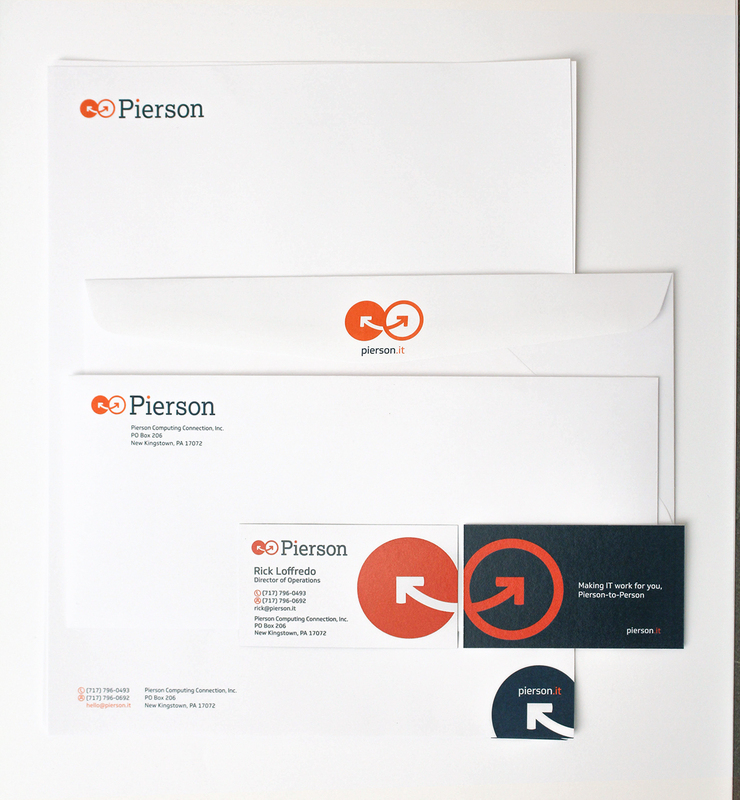 For: Pierson Computing Connection, Inc.
Pierson is an IT company based in Mechanicsburg, PA. The team deeply cares about their work and the positive impact it has on businesses and communities. They felt their previous brand no longer reflected their vision and personality. They also wanted to use their website as a prospecting tool. 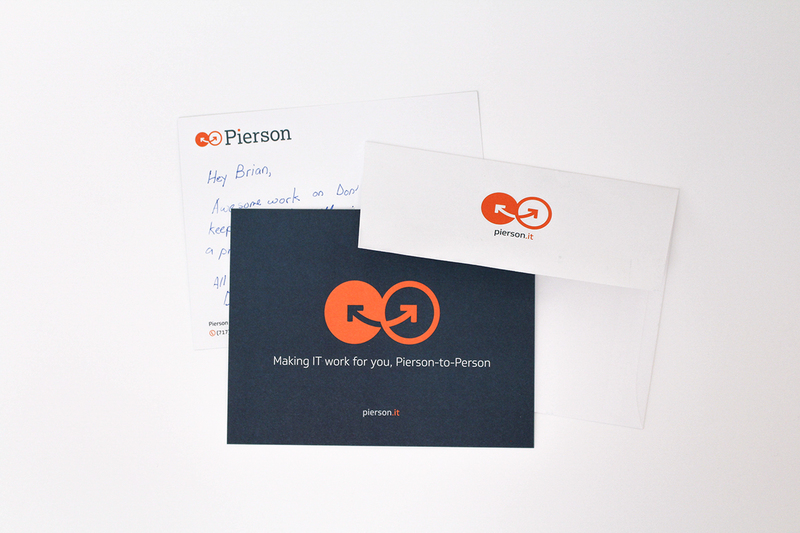 PPO&S’s creative director Joe Knezic and I worked together to develop an identity that playfully conveyed what he coined, the Pierson-to-Person approach. The new logo is friendly but its symmetry reflects the dedication to precision and quality behind the team members’ smiles. The new website’s design is a representation of what was already true of the company -- they’re thorough, modern and innovative. We removed content that was rarely visited by users and prioritized the more popular sections. 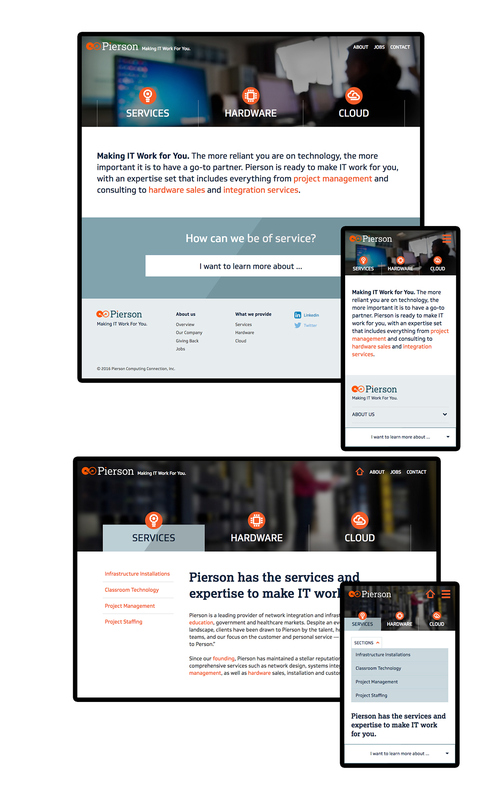 Every page has an opportunity for prospective customers to contact Pierson through a contact form.